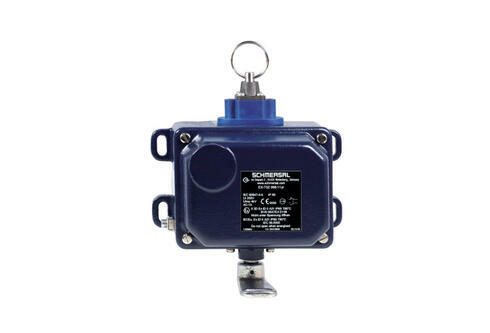 Safety switches, solenoid interlocks, electronic solenoid interlocks, electronic safety sensors, & safety switches for hinged guards. An extraordinary extensive range of safety-related switchgears for the position monitoring of guard doors and the non-contact protection of hazardous zones and danger points, as well as safety switching appliances for special applications. 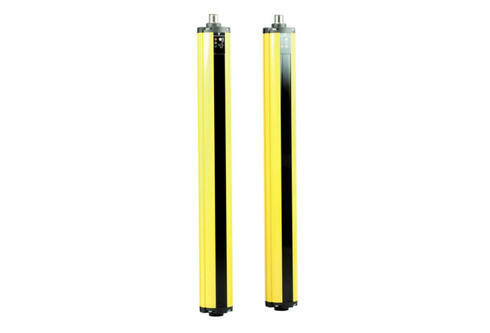 Comprehensive range of products such as safety light curtains & light grids to provide non-seperating safeguarding or hazardous areas. Pull-wire emergency stop switches, emergency stop push-buttons, ergonomic control panels, foot switches, & two-hand control panels. 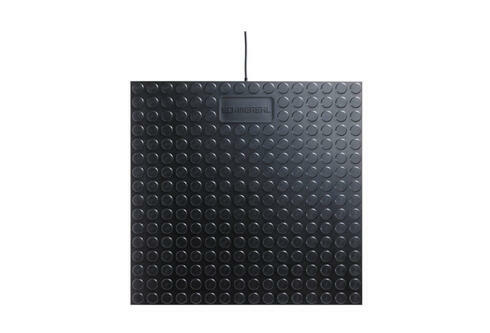 Safety pressure mats for wherever crushing or shearing points are to be safe guarded such as elevating platforms, rising stages, industrial gates, and more. When crushing or shearing points are present and need to be safeguarded, such as on elevating platforms, rising stages, sliding doors, or industrial gates, tactile safety devices offer a simple and easy to fit solution. 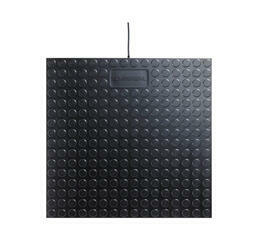 In the hazardous area, two-dimensional safety devices could be useful as well. 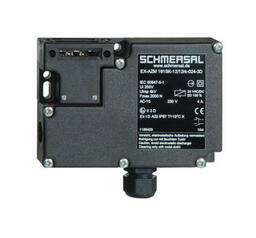 For example, industrial robots, punching machines, and woodworking machines. 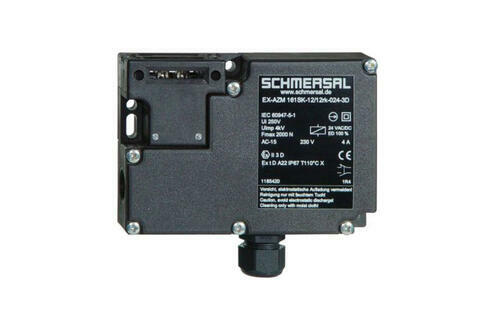 For monitoring & control of machine guarding safety systems designed to increase the level of safety in machine guarding and/or E-stop control circuits. 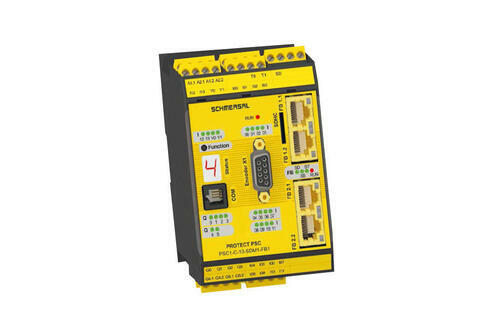 Safety controllers feature redundant, dual channel, cross monitoring logic circuits and are designed to increase the level of safety in machine guarding and/or E-stop control circuits. The circuits continuously check for and detect faults in the system's safety cicuit components and interconnection wiring. 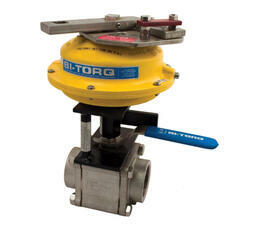 Products intended to reduce facility risk and insurance costs while increasing safety for plant employees & surrounding communities from manufacturers such as Bi-Torq. Products intended to reduce facility risk and insurance costs while increasing safety for plant employees and surrounding communities. 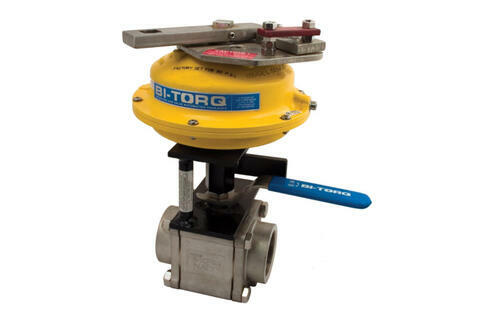 Products include fire safe fusible link assemblies for emergency shutdown, spring return handles to eliminate the risk of leaving a critical valve in the wrong position, and lock-out devices for both automated and manual valves. 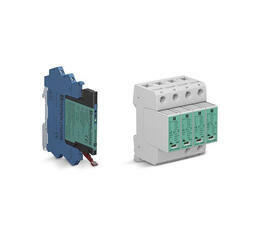 Pepperl+Fuchs surge protection modules reliably divert surges and currents to ground and protect people and machines against possible negative consequences. In process engineering plants such as refineries with exposed building parts or extensive water management systems, surge events can cause disastrous consequences: from damage or destruction of expensive components and machines to breakdown of complete automation systems-not to mention risks to personnel. 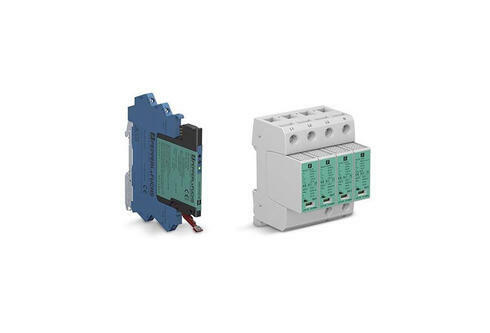 Pepperl + Fuchs' product range provides you with powerful surge protection solutions for various applications including devices for signal line protection, supply line protection, fieldbus, and wireless solutions. Risk is an integral part of our daily lives. Hazards are also present in our working environment thus, it is important to identify anything that could pose a risk of injury & to eliminate hazards at work. 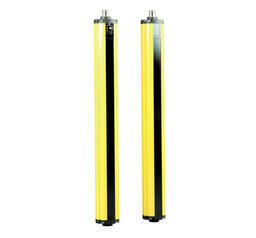 When used correctly, hydraulic power is one of the safest methods of applying force to your work. 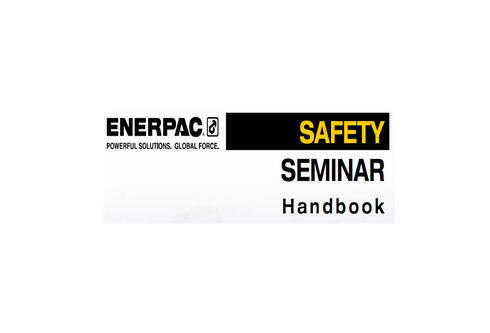 Our Safety Handbook from Enerpac provides important information for the proper use of hydraulic tools that promotes personal safety. This compendium from Pepperl + Fuchs provides a comprehensive introduction into Functional Safety. Find out how to successfully implement your safety equipment based on hands-on case study for an overfill prevention system. 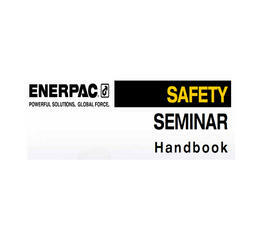 The compendium also contains a glossary that helps you to quickly reference safety terminology whenever you need it. Safe Switching & Monitoring: safety-related switchgears for the position monitoring of guard doors and non-contact protection of hazardous zones and danger points. 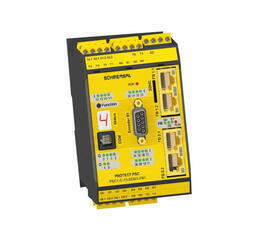 Safe Signal Processing: safety relay modules for various safety technology applications (e.g. 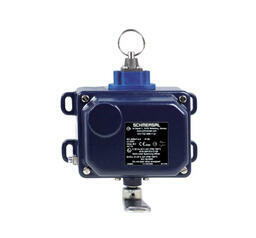 for emergency stop and guard door monitoring) as well as programmable safety controllers. Automation Technology: switching appliances for the mechanical position detection in various fields of application as well as safety sensors with different operating principals. Devices for Ex Zones: includes switchgears which can be used in areas with potentially explosive atmospheres due to the presence of gas and dust.